Every business knows the old saying: A satisfied customer will tell one or two people about it, and a dissatisfied customer will tell up to ten people. In an offline world this is an important lesson for businesses, as it highlights the need to pay attention to providing good customer service. In an online business environment this lesson is critical to survival. In the online space, and especially through social media, positive customer service experiences are often communicated to a multitude of people, but dissatisfaction spreads like wildfires! No business can survive the wrath of unhappy customers who readily blog about their experiences, post their comments on blogs, or write unflattering reviews on websites. It seems that human nature drives those who receive good customer service to share their experience within their networks and occasionally in public forums, and those who got poor customer service to share with a much broader and more public base of people. Bad customer experiences draw more public attention and are more viral because they spread so quickly. Organizations and industry sectors that consistently meet and strive to exceed customer expectations create customer loyalty. In addition, when good customer service is an integral part of the organizational culture, operational efficiency and sales increase. It is important for businesses to understand how people use the Internet to build and actualize their personal and social relationships. This is critical for building a culture of good customer service. If your organization has not integrated online channels of communication with customers then you don’t have an effective process to know your customer expectations, evaluate your service levels and take action to deliver good customer service consistently. If you are not using online methods for building good customer service you are most probably seriously lagging behind your competition. Off-line customer surveys or collecting large quantities of online data, that is for the most part unusable, is yesterday’s news. To survive and thrive in today’s networked environment, companies must use the available and highly efficient online ways to do business. They significantly reduce costs, increase productivity and help you deliver better products and services to market faster. Step #1: Keep customers in the product development loop at all times. 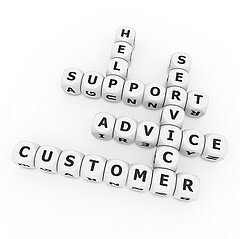 Through various interaction forums you can help your customers. OneDesk enables your customers to share their ideas and suggestions about the products and services that they want and expect. OneDesk involves your customer in all the phases of product development by providing discussion and decision-making forums where their needs and concerns are shared and they can vote on suggestions for modifications. Step #2: Make it easy for customers to contact you. A well designed online process for managing customer feedback is an excellent example of how technology can be leveraged to achieve a culture for good customer service. A feedback management system empowers and puts the customer at the centre of your organization. OneDesk’s feedback form makes it easy for your customers and website visitors to submit site or product relevant comments, ideas or suggestions. Do you have feedback for OneDesk? Share your feedback with us. Step #3: Make proper use of customer feedback by acting upon it. Involving customers in all phases of product development and asking for their feedback are critical elements in achieving high standards for customer service. However, to derive substantial benefit from these forms of communication, you must take action. has the tools to help everyone on your team respond in a timely and efficient manner so that you can continuously improve service standards and profitability. What are you waiting for? Give your customers the service they deserve. Take a quick product tour or sign up for a free account.